Travel in style on a budget with these fun design hostels around the globe. Hostels are more fun Would you like to explore cities with like-minded people when you travel? Live the local life, and take part in communal activities? A new wave of hostels is emerging that offer just that, with an extra shot of service and comfort. From outdoor swimming pools to rooftop dinners, co-working spaces to Spanish cooking lessons, the services and facilities on offer are outstanding. And all can be enjoyed from the convenience of a private room. 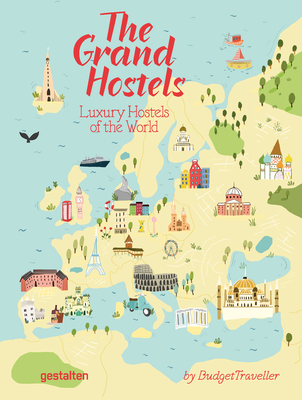 The Grand Hostels will provide you with insights beyond just price and location. The hostels featured are perfect for foodies, outdoors-types, and digital nomads alike, as well as for short city breaks. Award-winning journalist Kash Bhattacharya, a.k.a. BudgetTraveller, reveals his secret tips on where to find luxury hostels across the world, and how to eat out, party or unwind like a true local. Turn your travels into experiences to remember for a lifetime.